This past week, Starbucks started serving their seasonal pumpkin spice drinks. You know what that means: winter is coming. Luckily for all of us who just aren’t ready for cold weather and short days, fall has a nice way of transitioning us from summer to winter. It’s also a perfect time to declutter, handle end-of-the-year work tasks, and start planning for the holidays. The new season is a great time to check in with your money, so I highly recommend that when you swap out your decorations and whip out the scarves, you also do a tune up at home and with your money. Here are some helpful tips to not only save in autumn, but to prepare for the transition to winter, helping you live your best life. Summer is a chaotic time of year. Everyone is trying to squeeze as much as possible into the longer days, including vacations, yard work, and barbecues with friends. As summer comes to an end and the leaves begin to change, it’s a perfect time to consider changes of your own regarding your credit cards. I recommend gathering all of your credit and debit cards, logins, and paperwork, and going over all of your summer transactions with a fine-tooth comb. I recently did this and found two membership renewals that I had already cancelled. Luckily, I was able to recoup my losses, but who knows if I would have ever noticed these errors if I hadn’t dedicated time to going over my records? 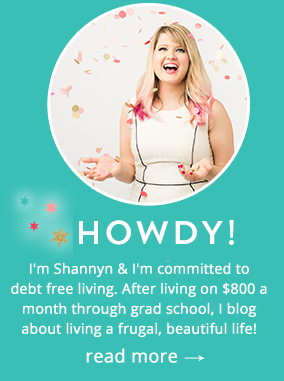 In addition, I like to evaluate my current credit cards in early fall and get in tune with my budget. I cancel any that are about to incur a yearly fee and I also consider signing up for new ones. This allows me to rack up rewards during the winter that can be used the next summer. If you haven’t checked in on your credit score, this is the perfect time to check in. Once the summer heat starts to dissipate, I pull out all my warm weather and winter clothes and sort through them. I donate or sell any summer outfits that I didn’t wear that year and I also evaluate my winter stash. Helpful criteria in deciding what should stay or go: “Will I be excited to take this out to wear again next year?” If no, toss or donate. “This has been in a box, out of sight for year, am I excited to wear it this season?” Before you can talk yourself into keeping it, if it’s a no- pass it on. If you have some holes in your wardrobe, this switch out process gives you plenty of time to supplement strategically, hopefully scoring a good deal in the process. If you wait until the snow flies to do this, you’ll end up having to spend more out of sheer desperation. Remember, save in autumn or you’ll spend in the winter! Most health insurance plans start over January 1. That being said, open enrollment typically commences in mid-Autumn. If you purchase your own insurance off the Healthcare.gov marketplace, enrollment is November 1, 2018, to December 15, 2018. It is incredibly important that you stay on top of this process. This may mean getting a work physical to qualify for certain discounts, keeping an eye out for mailings and emails, and registering online. You’ll also want to make sure that you are signed up for the right plan for you and your family. Your health may have changed over the last year or the plan for the upcoming year may have been altered drastically. The last thing you want to do is be missing out on valuable insurance benefits because you didn’t do your homework- and this isn’t a task you should save for the last minute when you’re stressed and planning for the holidays! Energy.gov has some great resources on audits and how to have one done or even how to do your own! Once you have your audit results, you can work on improving any issues that may be wasting big bucks. In addition, consider having your furnace tuned-up and cleaned. This will help your HVAC system to work at peak efficiency. And if you have a couple hundred bucks, I highly recommend hiring a duct cleaning company to vacuum out your duct work. This is especially important if you or a family member has allergies. Also, stock up on softener salt and furnace filters, so you don’t have to worry about hauling those around mid-winter. Lastly, consider upgrading your HVAC controls to a programmable thermostat. This will help you save on energy costs and make it very easy to change your settings to best save you money. Do you have a flexible spending account that will expire at the end of the year? It’s definitely time for you to consider the remaining balance and how it will be spent. Unlike an HSA, which rolls over to the next year, an FSA is a use it or lost it account. Become familiar with what qualifies for FSA purchases and spend that money! Even if it means buying 50 bottles of pain reliever (if that qualifies under your account), it is better than losing money. On a similar note, if you don’t have PTO/vacation that transfers to the next year or cannot be cashed out, time to start planning some days off. I have a friend who easily loses 2+ weeks of vacation each year because he just doesn’t want to take off work. That right there is money down the drain, folks, and just plain ridonkulous. You earned it, so use it! Some of us more type A folks have been slowly stashing and making gifts since *last* holiday season. For those of you who are a bit less neurotic, right now is a good time to start preparing for the holidays. Make a list of all of your anticipated holiday expenses and start saving towards your goals. Also keep an eye out for sales and online specials so you can score gifts at affordable prices. Alternatively, if you are more of a DIY person, definitely get moving on those homemade gifts. 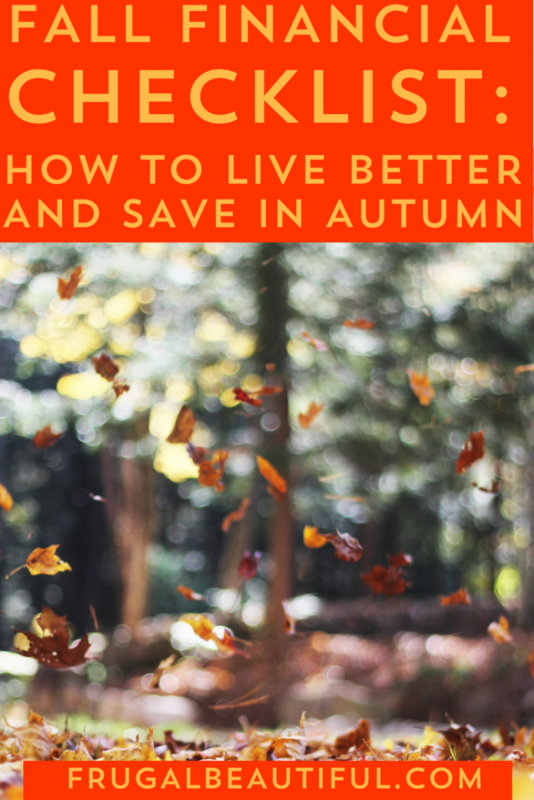 Are there things you do to save in autumn or to prepare yourself for the upcoming winter? Comment below! We love hearing from you.